Upserve Online Ordering, integrated with Upserve POS, gives restaurants the ability to add a significant revenue stream without disrupting operations that they depend on. 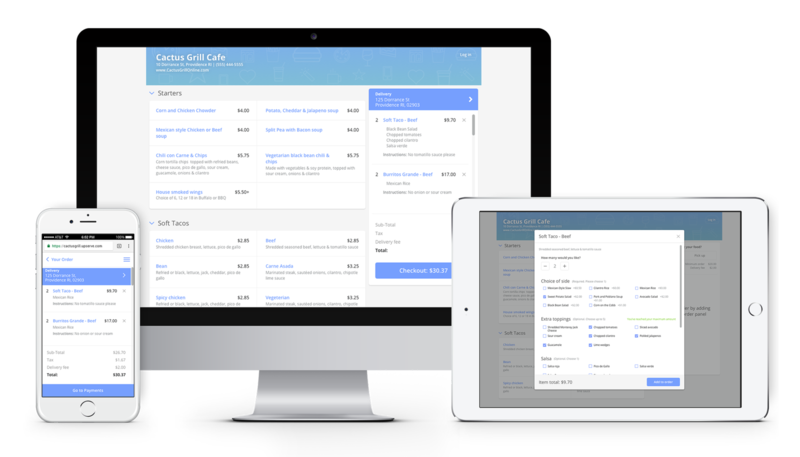 Upserve Online Ordering delivers order accuracy, efficiency, happy diners and a new revenue stream. Guests who want to easily order food online. Owners and operators who want to drive revenue from online ordering without disrupting operations and incurring hardware, labor, and commission costs. One Menu – Manage one online menu. 86’d items, price, quantity, or description changes, all happen in the POS and update automatically update to your online ordering webpage. Automated Fulfillment and Payments – Spend time delighting customers instead of manually transcribing orders coming in from multiple terminals. Orders flow right into Upserve Restaurant POS.